Six megawatts of electricity may be a drop in the ocean for a country whose non-industrial consumer needs is estimated at 500 megawatt (MW). But for Sierra Leone, where every watt of electricity produced, can make the difference between life and death, an uninterrupted supply of 6 MW of electricity supplying 3,000 homes is more than welcomed. But it will not come cheap – at a whopping $18 million. 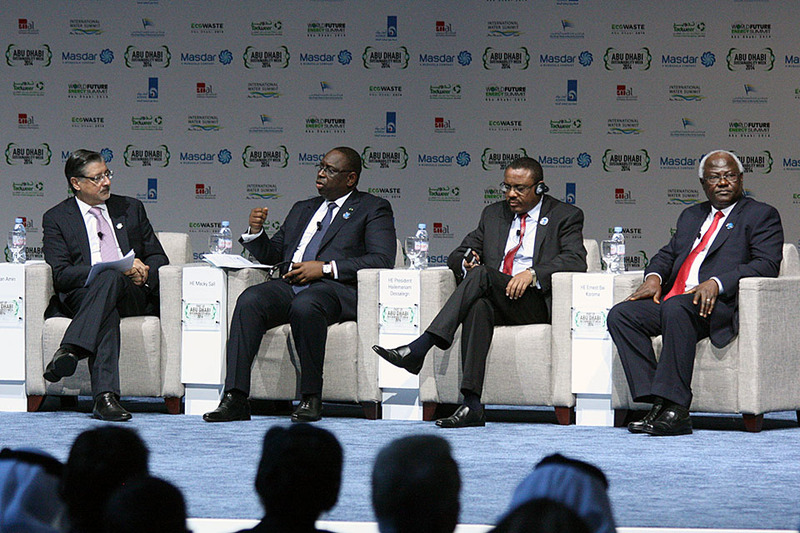 Last week, president Koroma attended a renewable energy summit in Abu Dhabi, where interest in harnessing Sierra Leone’s abundant sunshine and energy potential was seriously considered among 80 other competing applications. And when the decision was announced by the International Renewable Energy Agency (IRENA) and the Abu Dhabi Fund for Development (ADFD), Sierra Leone was among a short list of six successful developing countries to receive funding totaling $80 million. What does this mean for the people of Sierra Leone? The ADFD will provide $41 million in loans in support of the six projects. “The remainder will come from other sources such as national contributions, banks, development partners or financial institutions,” says spokesman for IRENA. The six projects selected by IRENA / ADFD will be located in Ecuador, Maldives, Mali, Mauritania, Samoa, and Sierra Leone, generating a combined total of 35 MW of electricity and 4 million litres of bio-diesel production per year, benefiting over 300,000 people and businesses a year. (Photo: President Koroma – far right – in Abu Dhabi). Sierra Leone’s success in winning this international solar energy project bid comes, as the World Bank last month announced a $40 million financing package for the rehabilitation of the country’s electricity sector. So what will this new $18 million IRENA / ADFD finance provide for the people of Sierra Leone? According to today’s statement by the company – Mulk Renewable, who has been awarded the procurement contract to build and manage Sierra Leone’s solar project, the money will be used to establish a solar park in Freetown. “The Solar Park in Freetown, with a capacity of 6 MW, will be one of West Africa’s largest solar parks,” says Mulk Renewable. Spear headed by Mr. Khurram Nawab founder of MULK Renewable Energy and inventor of its broad and innovative patented Solar Technologies portfolio, the company will provide engineering, procurement and construction expertise for Sierra Leone’s first integrated and large-scale solar energy production project. The Solar PV panels will be sourced through a partnership with Masdar PV, a 100% subsidiary of Masdar – Abu Dhabi’s multifaceted initiative for innovative renewable energy technologies, launched and owned by the Mubadala Development Company. The General Manager of Advanced Science and Innovation Company (ASIC) LLC, will be responsible for the overall management of the project. “I feel glad that our effort to get this clean energy project to the forefront has been successful. From the start, I have been constantly driven to change this thought into reality and now I’m definite that with our joint technology expertise and support of the Ministry of Energy of Sierra Leone and Advanced Science and Innovation Company(ASIC), we will be able to successfully deliver this landmark project in the best possible way,” says Mr. Bahige Annan – the Consul General of Sierra Leone in Dubai, UAE. The Freetown Solar Park will generate 6 MW of electricity that will power 3,000 homes in Sierra Leone. 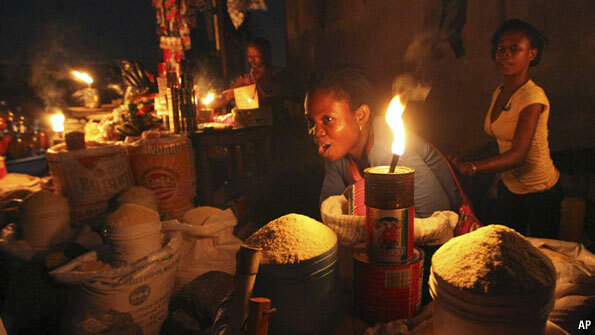 Sierra Leone needs a total of 500 MW of electricity to meet the needs of its non-industrial consumers. 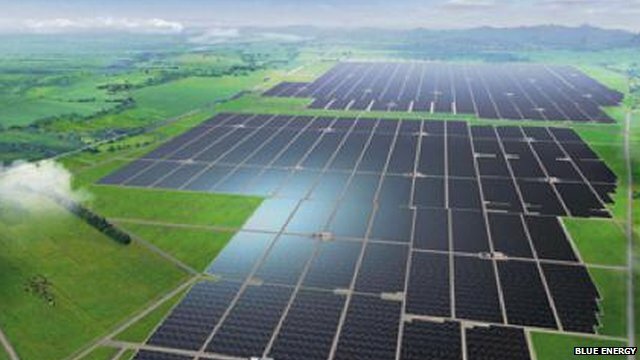 But the company says that it is aiming to achieve 25% of the country’s energy generation from renewable sources by the year 2015. 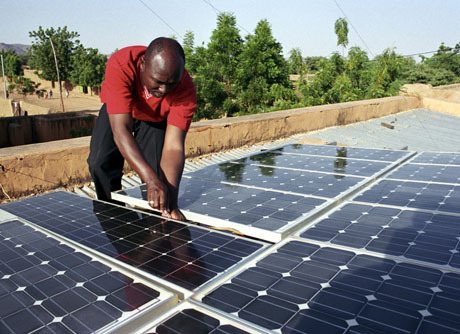 Other African countries have greater ambitions when it comes to solar energy production. 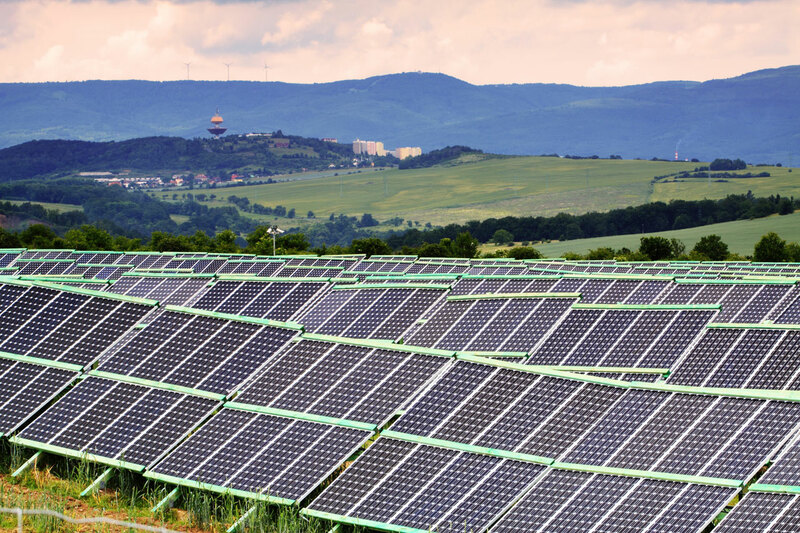 In Kenya for example, they have identified nine sites where solar power plants could provide more than half the country’s electricity by 2016. Construction of those plants is expected to cost $1.2bn (£73m) – a partnership between the Kenyan government and private companies, will see the state contributing about 50% of the cost. Solar energy generators feeding electricity into the national grid are paid over 12 US Cents by the government, for every Watt they supply. This is big business for private investors. “We hope that when the entire project is completed by 2016, more than 50% of Kenya’s energy production will consist of solar. Already we are witnessing solar investments in Kenya such as a factory that was opened here in 2011 that manufactures solar energy panels,” says Cliff Owiti – a senior administrator at the Kenya Renewable Energy Association. He said that over $500m had already been invested in solar projects in Kenya. Kenya is also planning the construction of what will be Sub-Saharan Africa’s largest wind farm, near Lake Turkana, which is set to be operational by 2015. 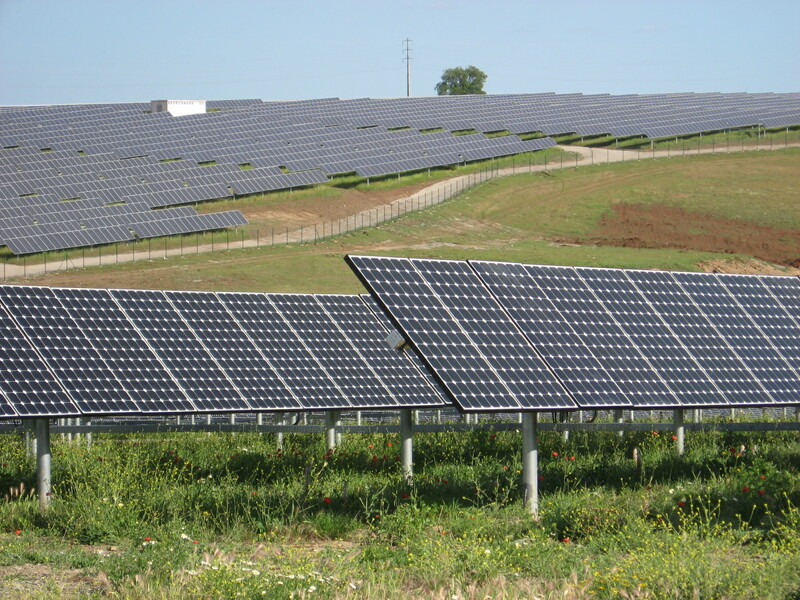 Another high profile African solar energy story is Ghana, where a UK firm – Blue Energy – a renewable energy investment company has entered into an agreement to build what it claims is the biggest photovoltaic (PV) solar power plant in Africa, at a cost of $400m (£248m). Providing electricity to more than 100,000 homes, the Nzema project will generate 155 MW of electricity, increasing Ghana’s energy capacity by 6%. Industry analyst – Ash Sharma at IMS Research, told BBC News that a key element in helping the project go ahead has been Ghana’s renewable energy law, under which the plant has been awarded a ‘feed-in tariff’ for 20 years. These are premium prices, guaranteed for the working life of the site. Unlike many other solar projects in Africa that use concentrated solar power, the Nzema plant will use photovoltaic (PV) technology to convert sunlight directly into electricity. Douglas Coleman says the characteristics of the sun in Ghana favour PV. Reuters says that last October Morocco secured a 654 million euro loan from German state-owned bank KFW to part-finance two solar power plants totaling 300 megawatts, worth an estimated 1.7 billion euros for its Desertec solar initiative. But according to the BBC, while concerns have been raised in recent weeks about the future of North Africa’s Desertec project that aims to export solar power to Europe, researchers are said to be far more hopeful about the prospects for local African markets. Demand for renewable energy has been held back in emerging economies like Ghana by high costs, but a recent glut of solar panels on world markets has seen prices tumble – much to the advantage of African countries. Sierra Leone has joined the league of African solar nations, by taking one giant leap into establishing the Freetown Solar Park. But the government has to ensure it can liberalise the industry, ensure fair and open competition, and guarantee long-term ‘feed-in tariff’ incentives to private energy generators. failing to do this will continue to maintain Sierra Leone’s image as one of the darkest countries in the world. President Koroma has made a good start towards energy sufficiency, but the road to eradicating darkness in Sierra Leone will take more than a 6 MW solar park. Sierra Leone needs at least 500 MW to power its non-industrial consumers.